Vivo Nex 2 will be launching on December 11, it will also be a Display on its back panel. - mobilereview.online - The Ultimate resource for mobile phones reviews, specification, information. Home Upcoming Smartphones vivo vivo nex 2 Vivo Nex 2 will be launching on December 11, it will also be a Display on its back panel. The tech market is full from the talk of Vivo's Dual Display smartphone Nex 2. There are so many leaks that have come up with this phone, which have got many information related to phone look, design, features and specifications. 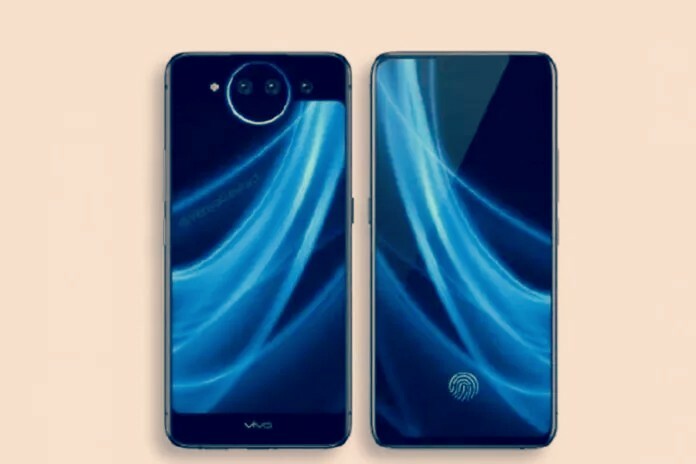 This phone of Vivo will be unique and unique from the other devices of the company because its front panels will also be screened on the back panel. But now the market of Vivo Nex 2 leaks is going to be available because the company has announced the launch date of the phone. Vivo Nex 2 will knock on the Tech platform on December 11. Vivo has sent a message to the Chinese media, sending the ambient voice, that the company will present its phone on December 11. On this day, the company will organize an event in Shanghai, China, and knock on the Viva Nex 2 Tech platform from the stage of this event. On December 11, Viva Nexus 2 will be launched in the Chinese market and it may take some time for this phone to reach the global platform. Vivo has also started registration for Nex 2 on its official Chinese website. Dual screen is provided in Vivo Nex 2. The bezels of the phone are also very low. Although the camera in the previous panel has been given three but dual cameras are available in round clock shaped shapes, where as a camera is out. Like the recently launched vivo's second phone, you will also be able to see the acrylic design. Two color variants are shown in leek. There is a purple while the second is Feroji Blue. The side panels are of metal. While focusing on the main screen of the phone, you will find that the front screen is larger than the back screen. At the same time, there is nothing inherently insignificant. Below you will find a little However, let me tell you there is no screen in it. In this case, you can hope that even in Nex 2, the same model like the previous model Nex has a pop up selfie camera. USB type C charging port is given in the bottom panel of the phone. There is a loudspeaker grill nearby. Good thing, it can be said that 3.5mm audio jack will be found in the upper panel. Triple rear camera sensor has been given on the back panel of Vivo Nex 2. According to the leaks revealed so far, in Vivo Nex 2 you can get the main screen seen with 19.5: 9 Aspect ratio where as the last panel can be displayed with 16: 9 aspect ratio. The company can present this phone with 6.69 inch full HD + screen. This phone can be based on Qualcomm Snapdragon 845 chipset and 128 GB memory can be given in the phone with 8 GB of RAM.